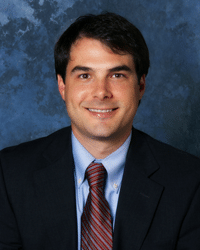 Mr. Copp began his career in Austin, Texas with the law firm of Kiester, Lockwood & Babb, LLP where he focused on business formations, creditor's rights, debt collection and construction law. In 2005, Mr. Copp joined the multistate foreclosure law firm of Butler & Hosch, PA where he served as the Lead Texas Attorney and completed thousands of foreclosures on behalf of national banks and lending institutions. In 2008, Mr. Copp started the Copp Law Firm, PC, which now focuses primarily on business law, specifically LLC related issues. Mr. Copp was recognized as a Texas Rising Star in 2012, 2013, 2014, 2015, 2016, 2017 & 2018. Only 2.5% of Texas attorneys are chosen for this honor each year. The full list of Super Lawyers: Rising Stars (a Thomson Reuters service) is published annually in Texas Monthly. U.S. District Courts for the Northern, Eastern, Western, and Southern Districts of Texas. Represented a lender in the sale of a $2MM secured promissory note. Represented the buyer of a majority interest in an elevator inspection business. Represented the buyer of an existing BBQ franchise. Represented a lender in the foreclosure of a block of 14 condominiums. Represented a judgment creditor in the collection of a $500M judgment. Represented a buyer of a $1.1MM residential condominium. Represented a multinational corporation in the sublease of its Dallas manufacturing facility. Represented an ice cream franchisee in the purchase of an existing business. Represented the tenant in a 25,000sf office lease. Represented the purchaser of an existing sandwich franchise. Represented the purchaser in the acquisition of a multi-million dollar country club and golf course. Represented a glass company in a $3MM owner-financed asset sale. Represented the buyer of a $.5MM commercial building. Represented the majority shareholder of an apartment newsletter company in a multimillion stock sale. Represented numerous restaurant owners in the sale of their businesses. Represented a publically traded lending institution in the recovery of its unsecured debt. Represented a franchisee whose franchise agreement and business lease were wrongfully terminated in violation of the Servicemembers Civil Relief Act. Represented the large landowner in a Hay Lease to keep an agriculture exemption. Represented a multi-unit franchisee in the sale of 50 restaurants across the country. Represented publicly traded lending institutions in the foreclosure of thousands of residential liens. Represented a maturing technology firm on a private preferred stock placement. Represented the buyer of a real estate brokerage and apartment locating business. Represented the buyer of an insurance company. Represented hundreds of entrepreneurs, small businesses and individuals with the formation of their Texas entity. Represented multiple subcontractors in successful payment bond claims against bond company.